I am a police wife. That is not a simple statement. If you never been to my blog before you can read here, here, and here. I have written about this topic a lot, because liked I said; I am a police wife is not a simple statement. If you have seen the news, been on facebook, or really talked to anyone I am sure that you’ve heard about the two shootings that occurred in the past couple days. Let’s just say that I am shocked about the things people say. Every police officer spends countless amount of months in the academy, many hours in extra classes and there is that chance every day that they could make a mistake in that decision they make in a split second. But, I am sure you never made a mistake in your job right? Now I preference this writing with, there are good cops and there are bad cops. There are over 1.1 million police officers in the United States, so we all know there will be some bad cops in that group. But that does not mean all cops are bad cops. To the people who jump to conclusions about all cops are bad, or racist. Have you ever really thought about those words you say? Do you know who these cops are? They are husbands, fathers, sons, wives, mothers, parents, sisters, brothers, aunts and uncles. They are real people. They are not out there to ruin your life. 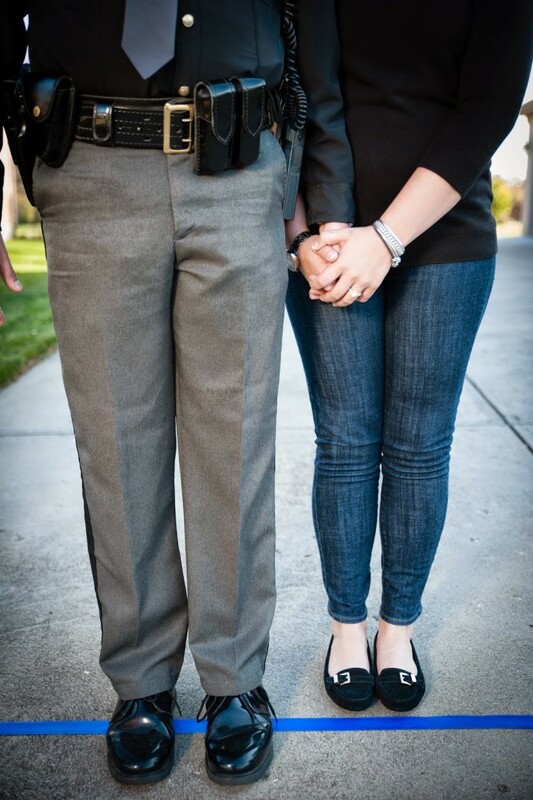 Those men and women are sworn in to protect the law, even if that means sacrificing their lives for you. Fifty-Three men and women have died protecting you this year. Fifty-Three. Where are all those wives and husbands who lost their loved ones on facebook, ranting and yelling? How come when a police officer dies, that doesn’t make the top news? Well, I think it should. But no, those loved ones lay their officer down to rest, knowing they will never get another conversation with them again. Did you know 21 police officers died of gunfire? That means 21 people killed 21 police officers. How the hell does that not make the news? That doesn’t make sense. I guess, that I am so upset that we all jump to conclusions. NONE of us know what happened in those videos. You have no right blasting police officers on social media or anything for that matter. Every story you read is one sided. Every single one. No one talks about how you didn’t do something right at your job? I don’t think either of those officers went into work today and said: “I hope I have to pull my gun today.” Actually, that is probably a cops worst nightmare is having to pull their gun. If you are standing with a person and they threaten you, what are you going to do? Stand there, and maybe let them kill you? But, what if they didn’t have a gun and they were just saying they did. You can see how things get very grey very quickly. You know, if you never break the law most likely you will never have to deal with a cop ever? Maybe we should all focus on behaving instead of going against cops. Don’t like cops? Well then, don’t break the law. Don’t hang out with people who break the law. It could be as simple as that. 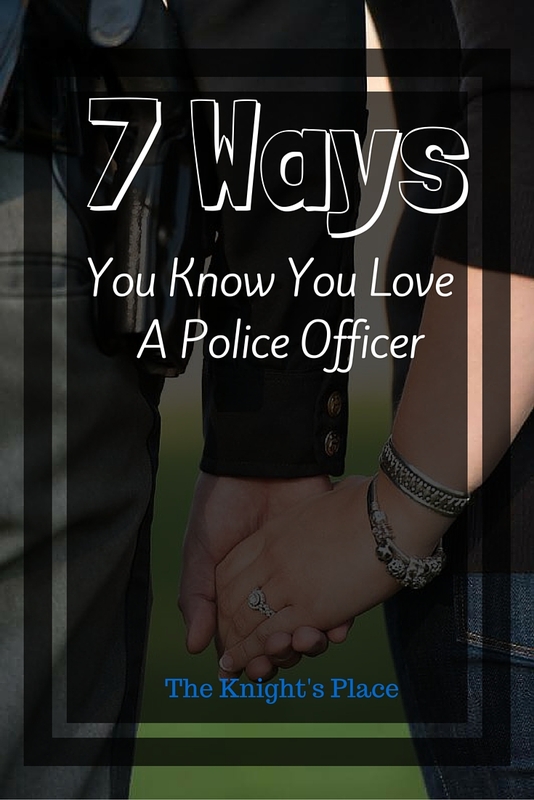 My husband is a police officer. I am a police wife. He is not racist. He does not judge. He has a kind soul, and would do anything for anyone. He works hard. He writes you a ticket if your speeding. He stops that drunk driver, that might have killed you on the road. He deals with the people you don’t want to deal with in the public. He deals with your problems. He stays awake at night so you can sleep. He is protecting you and your family. He is my family. He is the love of my life. He is a police officer. I received these products in return for my opinions. All thoughts are my own. 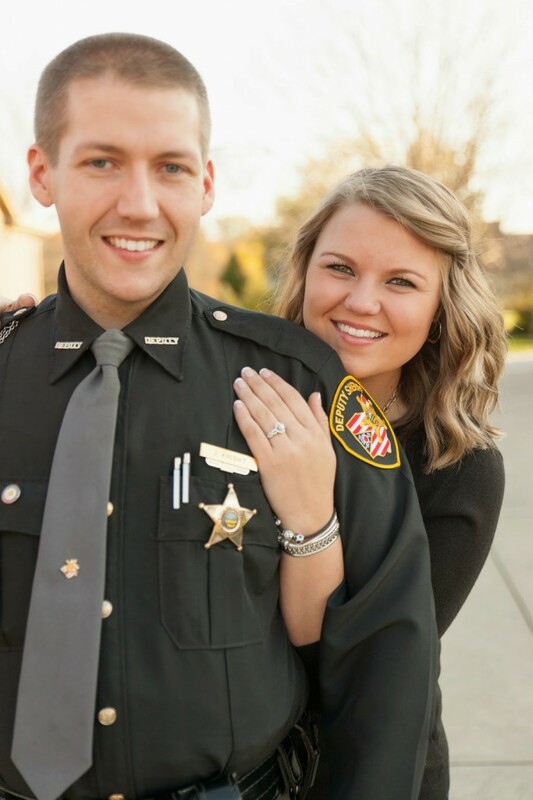 So you all know my husband Justin is a Sheriff Deputy, if not, you can read about it here, here, and here. 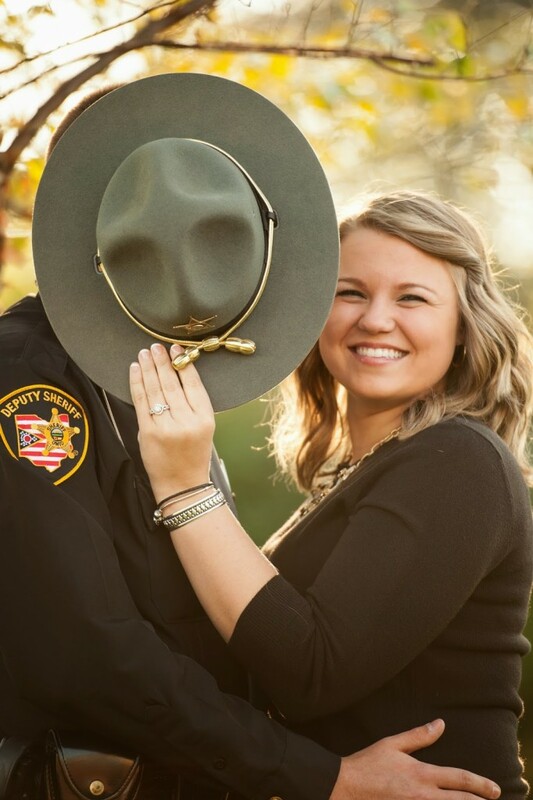 Police officers have a different view on wedding rings. The alternative wedding bands are becoming very popular. There are certain occupations where traditional wedding rings don’t always work. 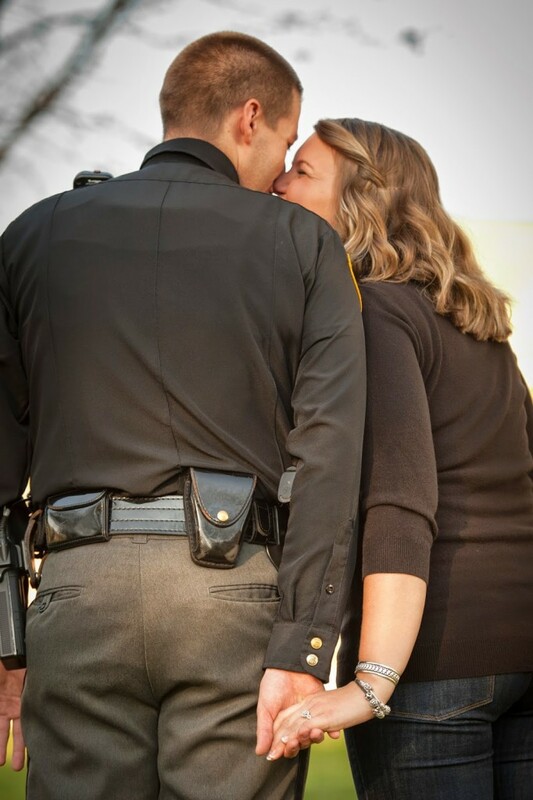 A police officer, firefighter, paramedics, doctor, nurse, contractors & so many more other occupations where tradition wedding rings just don’t work. So that is where the Fit Ring comes in! Fit Ring is perfect for any male or female who wants to show their love to their significate other without being flashy, or wearing a traditional wedding band. For police officers, there are so many views from each side. 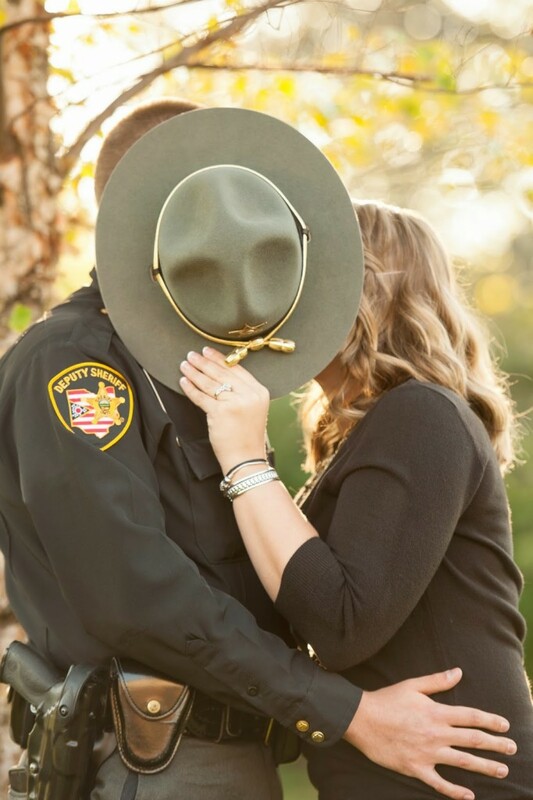 Some police wives say that they don’t want their husband wearing a ring at all while on duty. They don’t anyone on the outside to know that they have a family. It sounds odd, I know. But trust me, being a police wife myself that sounds completely normal. Others don’t wear a traditional for the safety reasons. If for some reason they were injured you can’t easily cut it off. A traditional wedding band can get stuck and cause injury. The Fit Ring is safe, simple, convenient and very inexpensive. @theknightsplace is talking about the alternative wedding band on the blog today! One t he best things about Fit Ring is their commitment to first responders. 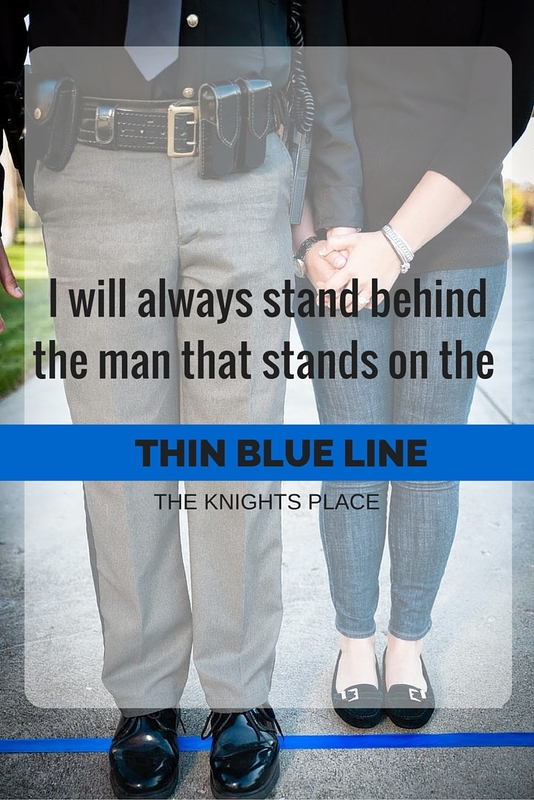 The Arthletic Family has chosen to support our troops and law enforcement by donating a percentage of the proceeds from all thing blue line Fit Ring purchases to the National Law Enforcement Officers Memorial Fund. This in itself makes me love this brand! rings! More like obsessed with them! But I am always nervous to get it dirty, or ruin it somehow. Fit Ring is perfect for females as well! When working outside, or doing my DIY projects I always worry about getting my ring dirty. But, now I just switch rings and all my worries are gone! They come in so many different colors and size, I know you can find one that is perfect for you or your significant other! If you don’t know how much I hate Justin working second shift you can read here and here. Long story short, second shift sucked! But, now Justin is on third shift! Which means he will work from 11 pm to 7 am. That means we will get to see each other every night! We have not seen each other for more than two nights a week since we got married ( and a year before that)! How crazy is that, actually we averaged seeing each other around 12 hours every week! Yes sad I know, but now it has completely changed! We will eat dinner every night together! How amazing is that! I don’t think I have ever gotten to spend every night with Justin since we started dating! It is almost like I am not married to a police officer anymore! Kind of amazing! 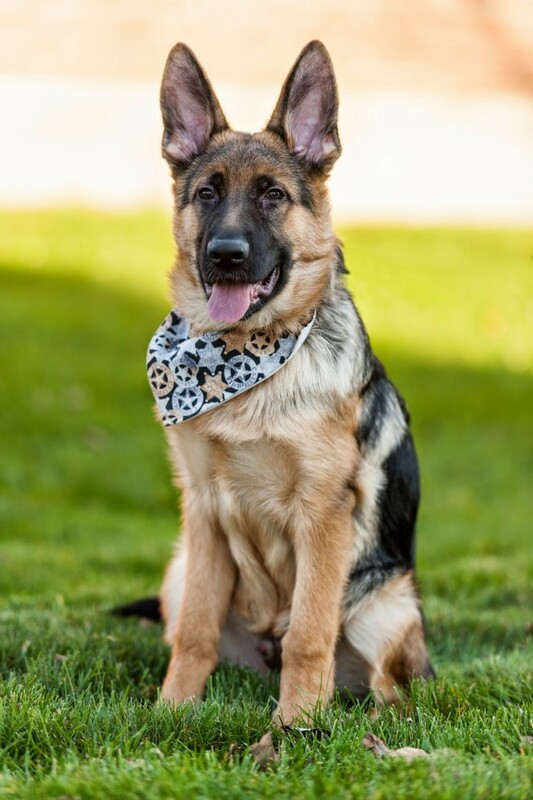 He has been with the sheriff department for almost two years! We have been waiting for him to get off second shift! And it happened! I couldn’t be more excited! If you know me at all, I am not a quite person.. at all. And Justin will be sleeping during the days, so on the weekends, I will have to be extremely quiet! So, we will see how that goes! I need to find a quiet hobby to do! I think this will be the hardest thing to adjust to. But, I can get over the downside, because I actually get to see my husband. We get to be real husband and wife! I am so excited! 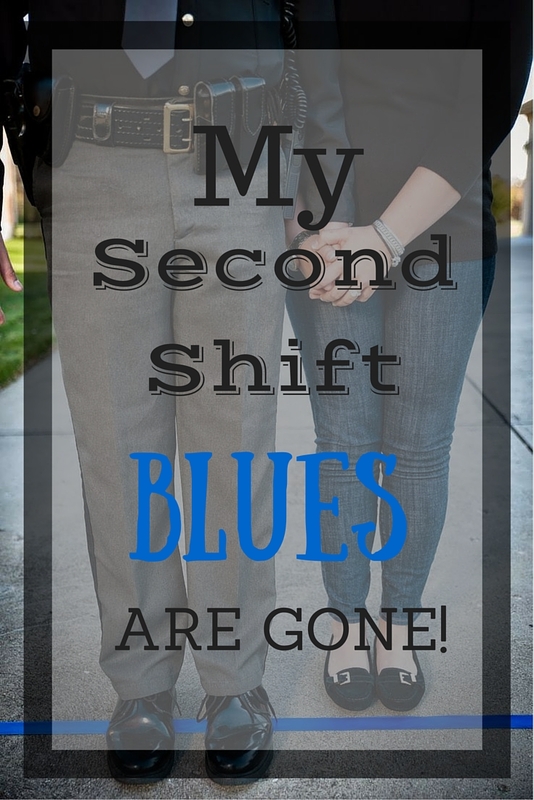 Do you and your significant other work different shifts? 1. The Vest – That vest that stinks no matter how much febreeze you spray on it, or whatever you do. It takes up too much room in your closet, but when he’s working and wearing the vest, you wish it was back in its spot. The sound of them taking it off, and that velcro is the best sound that anyone can hear. It means that they are home safe. 2. 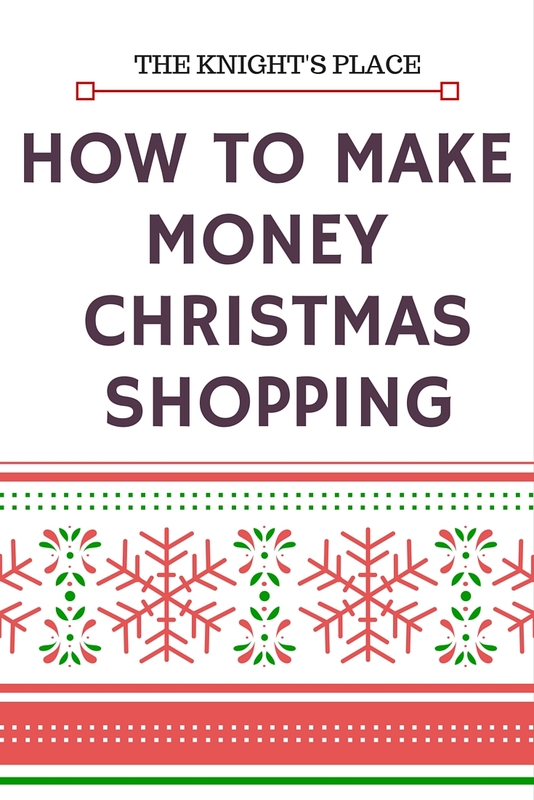 You can never Schedule more than a week out in life – Planning holiday’s or really anything for that matter is never easy. You think they are getting off at a certain time, and its three hours later, and then they are exhausted when they get off. Their schedules are so difficult! But, you learn to work with it. You learn to hate to so much that you love it. 3. Working late nights and longs shifts – Hence the above statement, (you can’t schedule anything), but they put in so many hours. As soon as their shift is over, you wait by the phone. If minutes past and they don’t call you worry & call them praying that they are just stuck late with paperwork. You get happy when they get that single second to send you a text to tell you they love you. Any communication while they are on duty is rare but so amazing. 4. Being so proud when you see them in uniform Weather they have been in uniform once or ten thousand times. Nothing changes, you are so proud and want to show them off to the world. 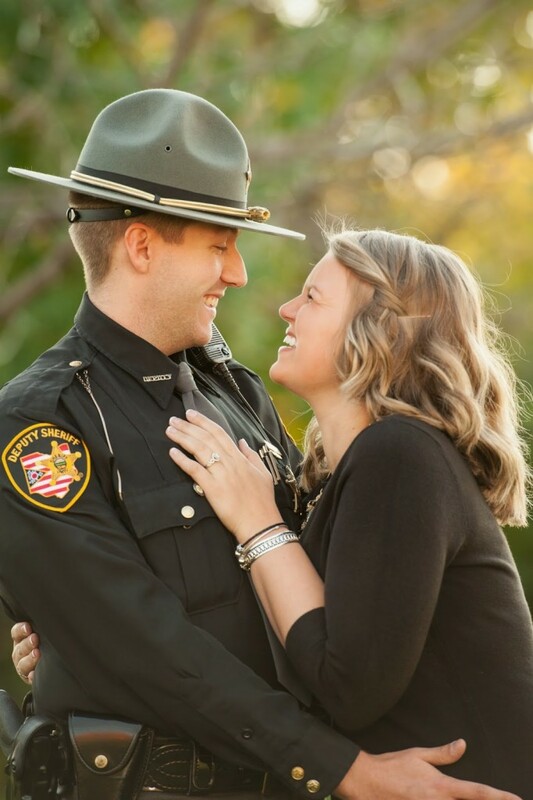 I love when I am able to see my officer in uniform. It makes me the proudest wife. 5. The amount of white tee’s or undershirts that you have to wash The amount of white tee’s I have to wash is crazy! And washing the uniform, switching over the uniforms, all the buttons, everything! It takes time, and I feel like we are switching uniforms over all the time. But, then once again I would not trade it for anything! 6. Finding bullets in the washing machine I thought this was something wives just said, but no.. it happens. I was shocked when I was changing the laundry and there was a bullet in our washing machine. I thought yep, its official, I live with a police officer. 7. LOVING YOUR HERO Loving your police officer is the greatest thing in life. They go to work every day, putting their life on the line. But you support them, you support the hard lifestyle that you both agreed to. You love it & wouldn’t change it for the world.